This brand new TRE-341 255 LPH high pressure in-tank fuel pump flows about 235lph at 13.5v and 40psi which can support over 600hp at the crank in naturally aspirated engines, and 500hp at the crank in supercharged or turbo applications! 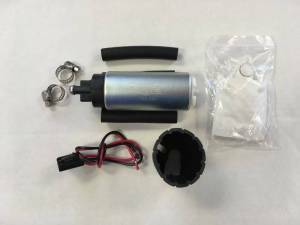 TREperformance has been manufacturing our own 255 LPH fuel pumps for over 10 years. 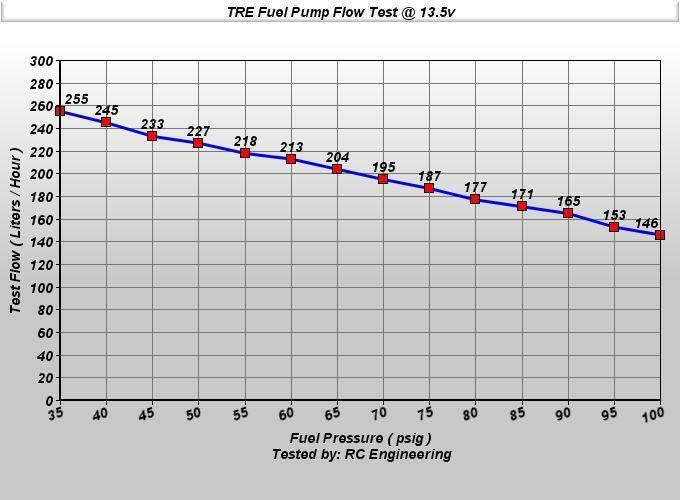 Do not be fooled by other companies who claim to have tested their pumps, we have sold over 100,000 of these fuel pumps and have had the flow tested by RC Engineering to verify the output. 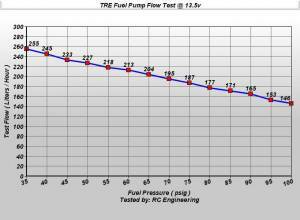 TRE fuel pumps flow very similar to Walbro pumps but they DO NOT have the loud, annoying whine of Walbro pumps, and TREperformance fuel pumps are nearly silent when the vehicle is running. This makes our 255lph and 210lph pumps perfect for performance cars up to 600hp, but can also be used as stock replacement pumps. This pump will fit every model, engine, type or style for every vehicle listed and can flow anywhere from 15-115 psi, which is determined by your fuel pressure regulator, usually about 235 liters per hour at 12v and 43psi. All of our pumps are always in stock and will often ship the day of payment.